The United States Marine Corps decided to partner with the UFC to reach it’s target audience in a completely unique way. We were given unprecedented access to all media opportunities, and put together an extensive campaign. 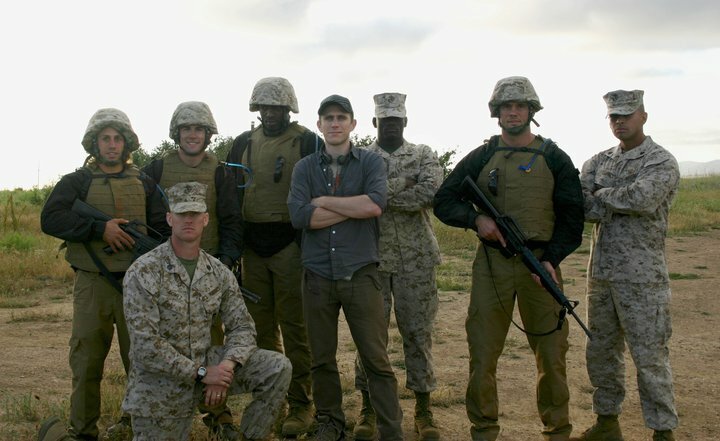 “Why We Fight” highlighted the paths of both the Marines and UFC fighters, and centered around a three part 27min film. The documentary featured the fighters fully emerged in the rigorous training a recruit must complete before earning the title Marine. After 12 weeks of intense training, recruits must complete a 54-hour test known as The Crucible. We designed a modified 8-hour version for the fighters that would test them both physically and mentally. 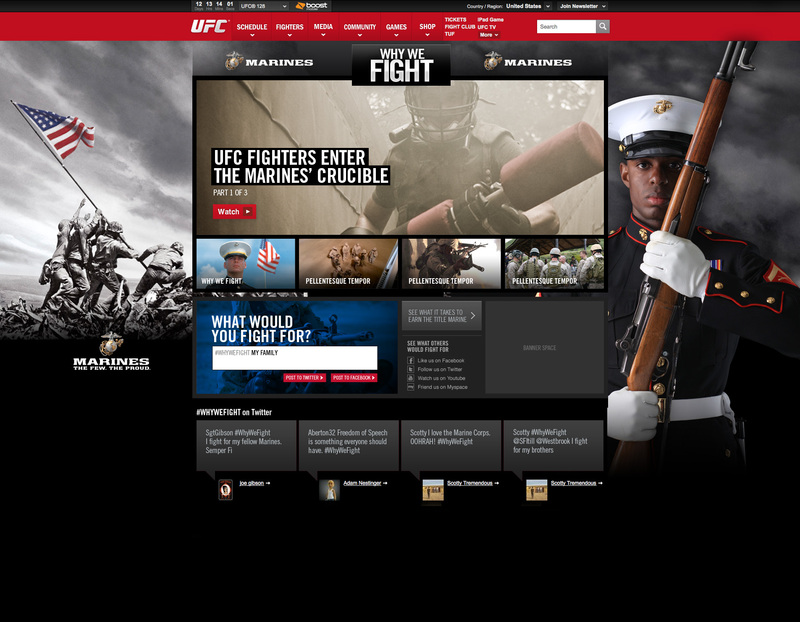 The three part series was featured on UFC’s Pay-Per-View events and the Marine Corps’ branded YouTube channel. Rich media banners, a UFC.com homepage takeover, and social campaigns helped drive traffic and support our message. One of our banners allowed viewers to submit what they felt was worth fighting for. The resulting content was shared on twitter and in other banner ads. 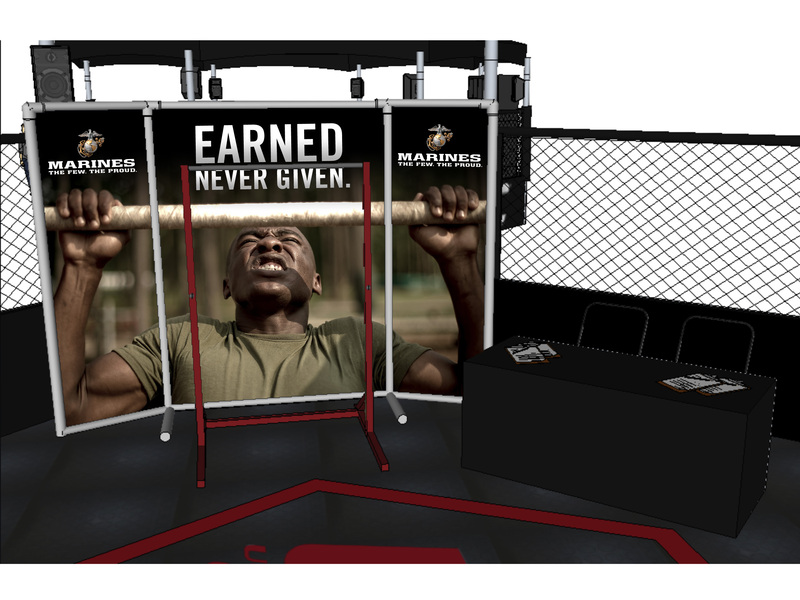 At live UFC events, we hosted pull-up challenges to reinforce the long time Marine Corps statement “Earned. Never Given.” Onlooking crowds gathered, and a few stepped forward in an attempt to mark their name at the top of the leaderboard. Marine Corps branded gear was given to anyone who participated, and autographed content awarded to the winners.